Happy President’s Day! We’re not exactly ‘celebrating’ President’s Day over here or anything… are you? I mean, I did sort of… I met my family (parents, sister, sister-in-law, 3 nieces & 3 nephews) for lunch and a walk on the beach… so I guess I did a little something! Poor hubby was stuck back at the office working away… hey, someone’s gotta do it, right?!?! He’s the best! Friday I showed you some candlesticks I had picked up from a thrift store… They were brand new from Crate & Barrel… still had the packaging and tags on them. I am not sure why someone wouldn’t have taken them back from store credit or a refund, but I sure am glad they didn’t! Anyways, I had been ‘eyeing’ those candlesticks for awhile… it’s something about greens that have me a little excited these days! I think it started when I was designing a beach condo on Longboat Key this fall. 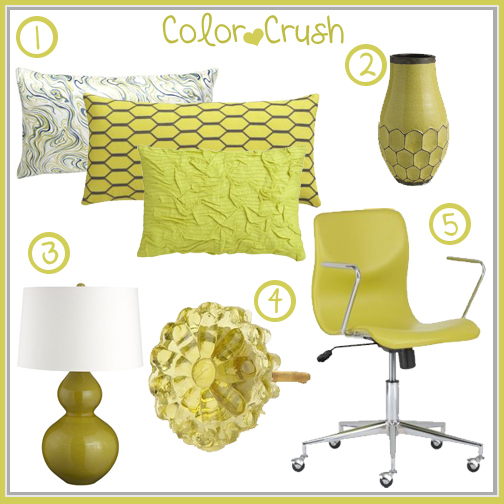 My client l-o-v-e-d chartreuse and wanted to use it in her bedroom. The more I added the hue to her home, the more I fell in love with it too! I am adding little chartreuse elements here and there, but I may eventually add it into our bedroom. Hopefully. 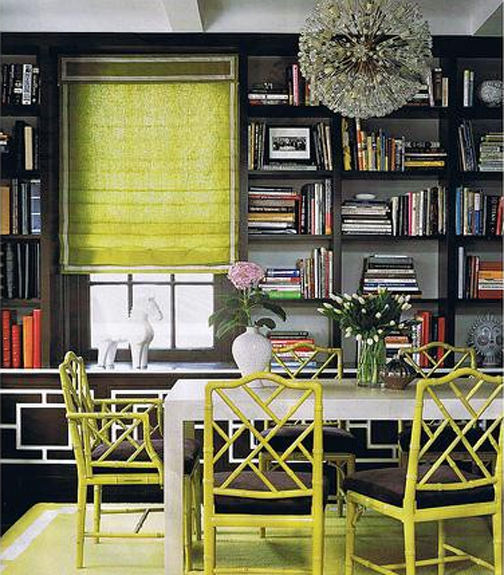 The “true” Chartreuse hue is between a yellow & green and is a vibrant, bold and fun shade to use in interiors. Pair it with browns, whites, tans, turquoise or even other greens for a great look! It works as a great accent color on pillows, throws, accessories or even curtains. P.S. We have a new line up coming this week. PLUS, Our shop is finally going to have products in it…. just wait & see! Those silver coffee tables are gorgeous! I’m obsessed with this color as well. 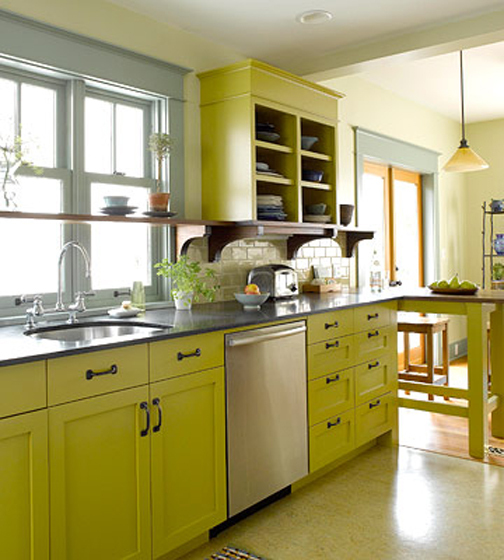 I might do my new kitchen using this color theme and bring some spring colors in my living room as well. Could you recommend some chartreuse paint colors…maybe Sherwin Williams or Lowes colors? Thanks!